UPDATE (Apr 12, 2019): KEA CET 2019 Hall Ticket has been released, read more here. UPDATE (Mar 21, 2019): KEA CET 2019 Application Correction started, read more here. UPDATE (Mar 11, 2019): KEA CET 2019 Exam schedule has been revised. Read more here. UPDATE (Mar 3, 2019): KEA CET 2019 Last date extended till March 20, 2019. UPDATE (Feb 1, 2019): KEA CET 2019 Registrations have started, read more here. 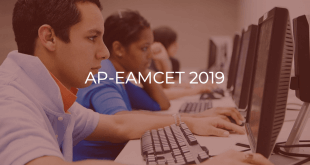 UPDATE (Jan 11, 2019): KEA CET 2019 exam schedule has been announced. Read more here. The exam will be an offline pen-paper based test that will be held on 2 days in 4 different sessions for four subjects. There will be 4 subject papers (Biology, Mathematics, Physics, Chemistry) of objective (MCQ) type questions. Each subject paper carries 60 questions and has a duration of 80 minutes. Candidates will be awarded 1 mark for each correct answer. Merit rank for Engineering will be determined by taking marks in equal proportions in Qualifying Examination and CET in Physics, Chemistry and Mathematics subjects. Minimum aggregate of 45% marks (40% for SC, ST, Cat-1, 2A, 2B, 3A and 3B category candidates) in Physics and Mathematics along with Chemistry / Bio-Technology / Biology / Electronics / Computer. Should have passed 2nd PUC / 12th Std / Equivalent Exam with English as one of the Languages. Minimum aggregate of 50% marks (45% for SC, ST, Cat-1, 2A, 2B, 3A and 3B category candidates) in 10+2 level examination. Minimum 50% marks (45% for SC, ST, Cat-1, 2A, 2B, 3A and 3B category candidates) in Physics, Chemistry and Mathematics. The entrance test will be based on the First and Second PUC syllabi prescribed by the Department of Pre-University Education of Karnataka State. The registrations for KEA CET 2019 examination will begin on February 1, 2019 (11AM). The last date to apply is February 28, 2019 March 20, 2019 upto 05.30 PM. Candidates need to visit the KEA CET website and fill the prescribed application form. Upload scanned images of photograph, candidate signature, candidate left-hand thumb impression, and parent signature. Pay the application fee in any branch of the specified banks. Save application summary page for future reference. The correction window will be open from March 19, 2019 March 21, 2019 to March 25, 2019 (5.30 PM). UPDATE (Mar 21, 2019): KEA CET 2019 Applciation Correction started, read more here. The Online Test Admission Ticket (Online TAT) can be downloaded from the KEA CET website after April 16, 2019. Candidates are required to produce the Test Admission Ticket at the examination centre. The Test Admission Ticket is an important document and it must be preserved and produced at the time of Counseling/Admission. The answer keys of KEA CET will be made available on the KEA CET website. If anyone is unsatisfied with an answer, the candidate/ parent/ lecturer can file objection addressed to the “Executive Director, Karnataka Examinations Authority, Bangalore” on or before prescribed date either in person or through SPEED POST or email ([email protected]), along with all supporting documents/justification. The decision of the Expert Committee will be final. A merit list will be prepared by taking marks in equal proportions in the Qualifying Examination (10+2) and CET in Physics, Chemistry and Mathematics subjects. 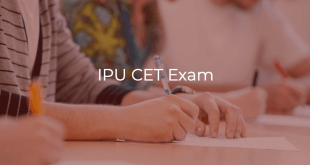 There are no minimum marks prescribed in CET. For admission to Architecture course, the candidate should compulsorily appear for NATA conducted by the Council of Architecture. The admission will be purely on the basis of the rank in KEA-CET. Candidates can select the college/branch of their choice at the time of counselling based on their rank. Candidates are neither required to send any certificates/documents in support of their claim in the online application nor printout of their Application Form (Final Printout) to KEA. Candidates can contact KEA through written communication, phone or email.